These are one of our best-selling boots. Great value and good looking they are constructed using waxed water resistant leather combined with a hard wearing TPR sole. 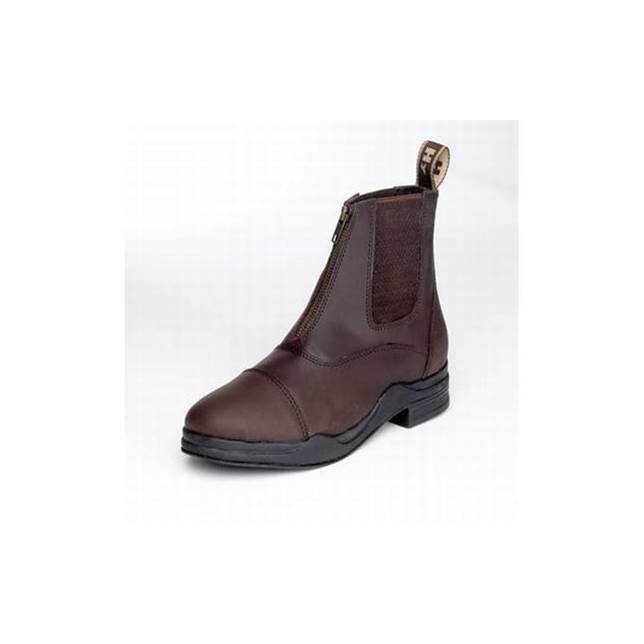 A versatile riding boot with cushioned insole and steel shank to give maximum ankle support. Front zip allows for easier access. We also stock these boots in a traditional pull-on style. Synthetic footwear should be washed after every use to remove any excess mud or dirt and allowed to dry naturally at room temperature away from direct heat sources. Available in full sizes 4 to 8, black and brown.